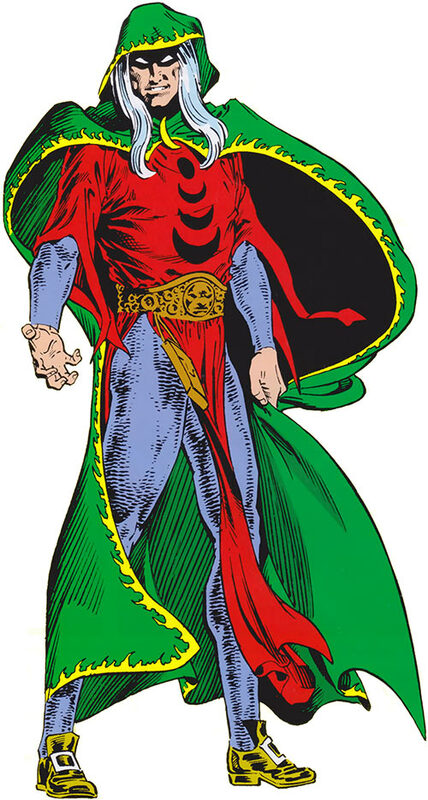 Marvel Comics’ Modred the Mystic, a time-tossed Arthurian magician. 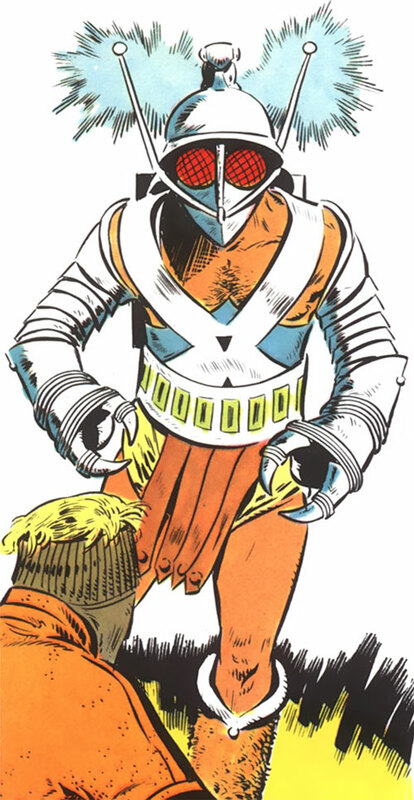 This is the first chapter of his profile and covers his early appearances, back when he was meant to be an occult super-hero. Second chapter in our profile for Modred the Mystic, covering the 1980s. 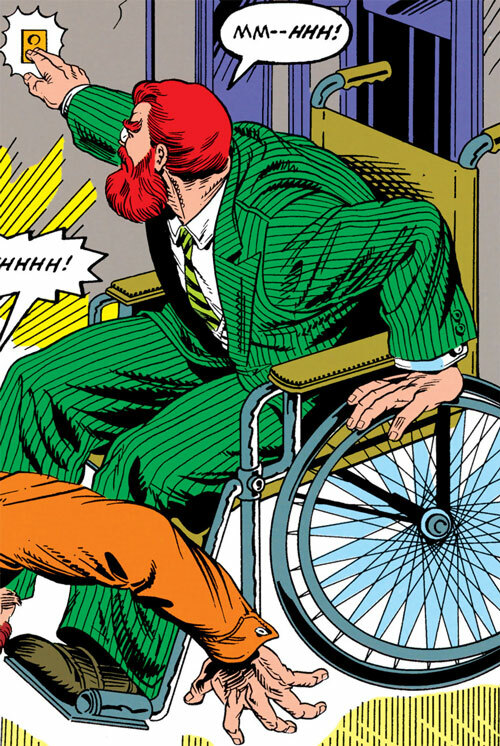 During this era he’s chiefly an agent of Chthon. 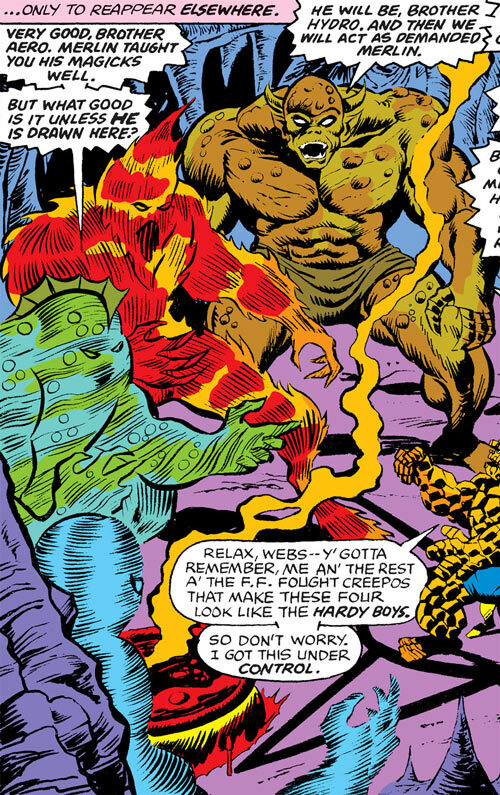 Four elemental monsters who once fought the Thing, Spider-Woman and Modred the Mystic at Stonehenge. They seemed like handy chaps to have game stats for. An example, fleshed-out zombie apocalypse survivor from minor video game How to Survive. She believes in do-it-yourself industrial chainsaws and dual-jerrycan flamethrowers and, well, it’s hard to argue that point. 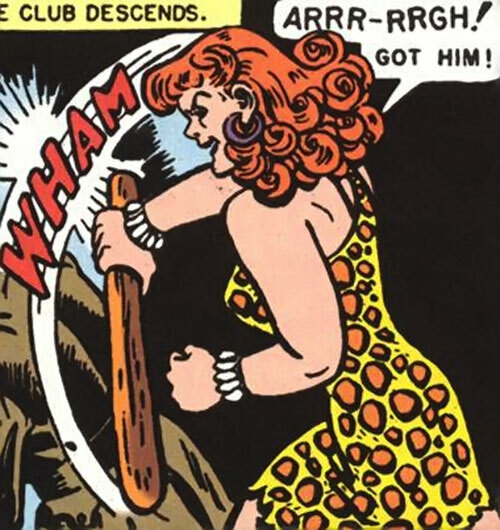 This is Giganta as she appeared a few times in 1940s Wonder Woman adventures. Peak human strength, agility and ferocity. 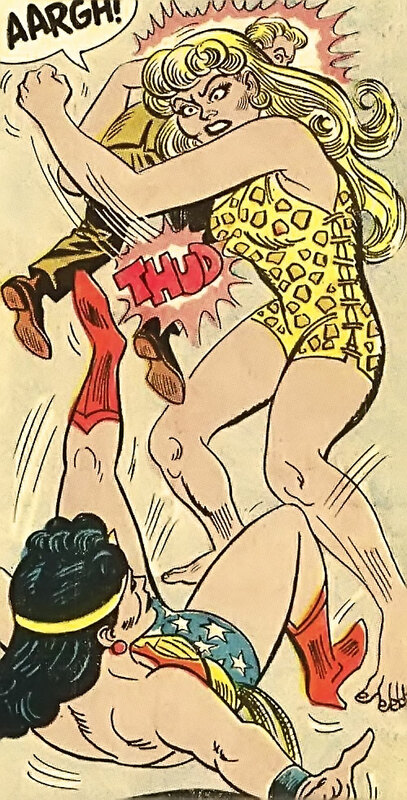 This is the Silver Age version of Wonder Woman’s enemy Giganta, as briefly seen in 1966-67. From time to time we do a short video game strategy article, because we so like to help our fellow non-cannibalistic living human person. How to survive is a PC-and-most-consoles 2013 zombie survival video game. All this and braaaaiiinnnssss too. 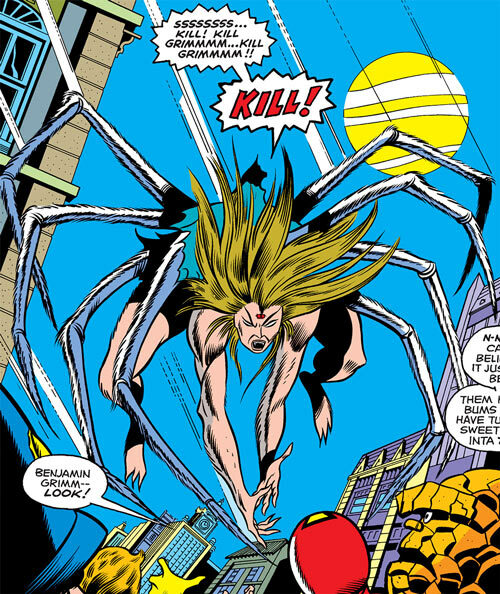 A special serum once extracted from Spider-Woman (Jessica Drew)’s body and used to turn Alicia Masters into a powerful spider monster. That’s how we did things back in 1977, baby. 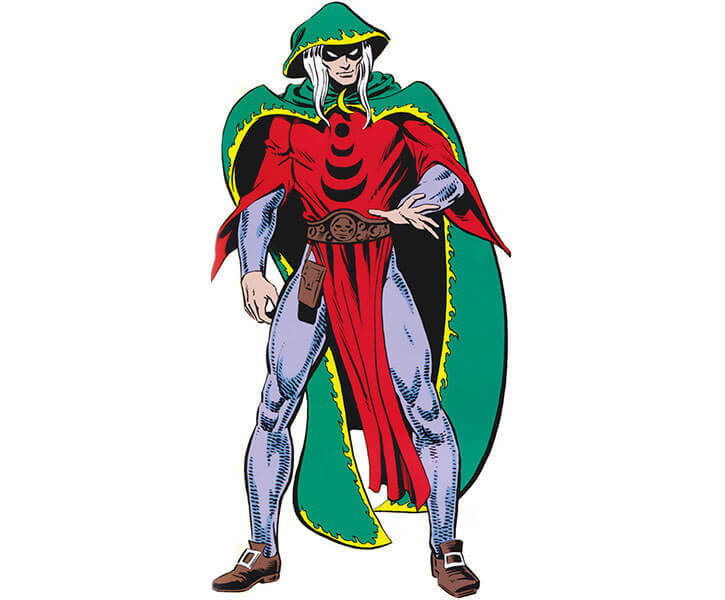 An old-school Marvel Comics character, ruler of the underground realm of Netherworld ! Comes with explanations about Netherworld’s history, equipment to use during the Winter Olympics of Peril, stuff like that. 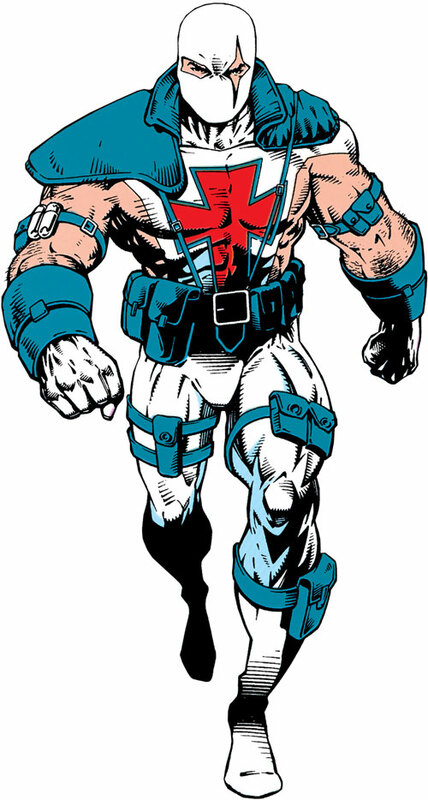 A mass-murdering White supremacist with big guns who clashed with Superman on multiple occasions. Now with revised texts, high-definition art and M&M game stats. 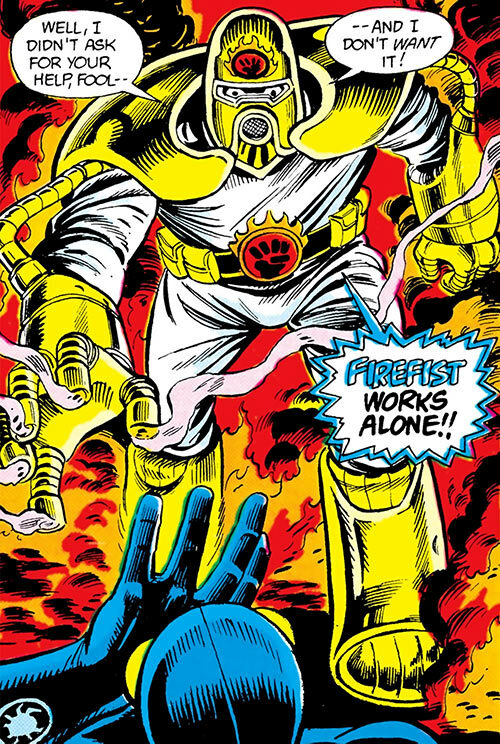 A very minor villain with an incendiary theme. Fought Blue Beetle during the 1980s. Now with revised texts, much improved art and M&M game stats. 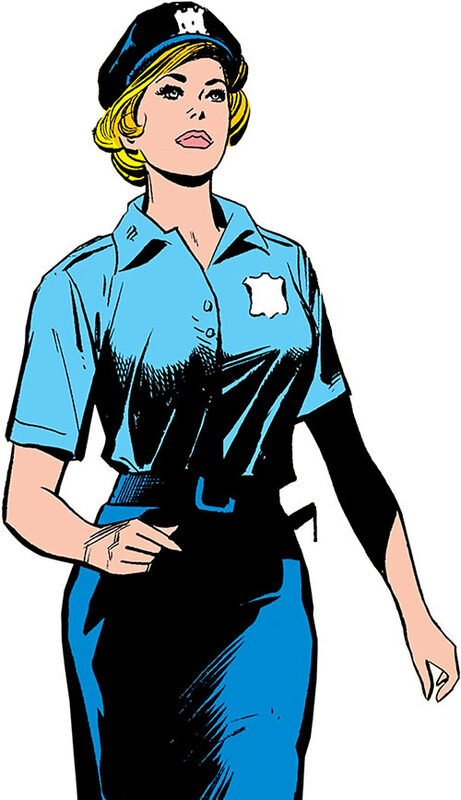 An obscure 1970s comics character, published as the first NYPD female patrol officers hit the streets. Mostly of historical interest (the profile includes a historical primer) and maybe for retro campaigns, though she returned decades later as a police chief in Ivy Town. Now with improved texts, improved art, M&M game stats. 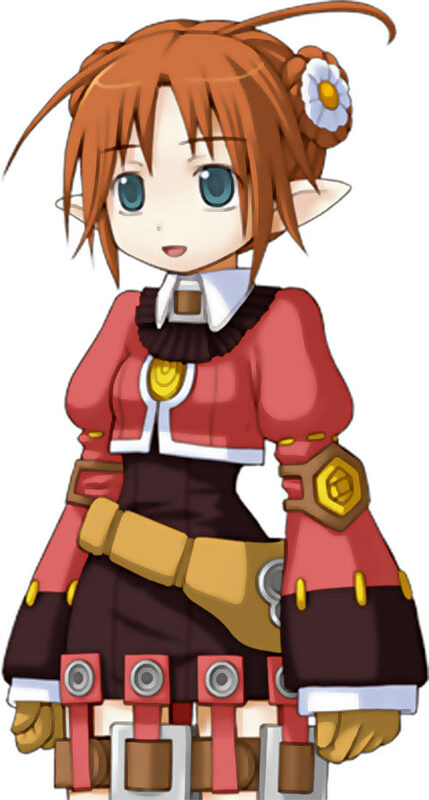 The archetypal goofy elf girl/fantasy archer, from Japanese RPG video game Recettear. When she’s not busy obsessing over pastries, she can perform some strange magical bow shots. One of those video game strategy guides we very occasionally do because heh, I have to take breaks sometimes. Dungeon of the Endless is a neat, well-reviewed roguelike/tower defence hybrid from a major studio. 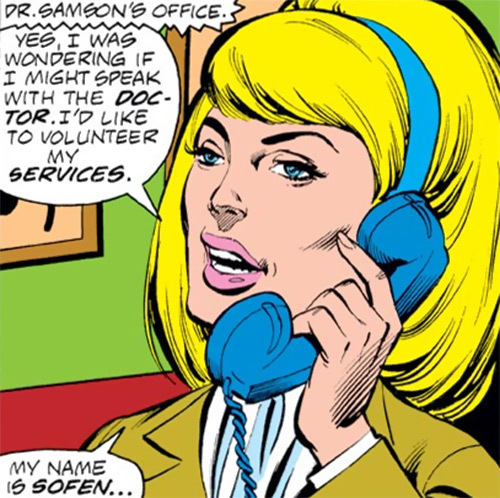 Our first entry for Karla Sofen (aka Moonstone, Meteorite, Ms. Marvel and others), covering her early life until she gains powers. Second chronological profile for Moonstone (Karla Sofen), covering her pre-Thunderbolts villainous career. Flying blaster, with phasing and strength on the side. 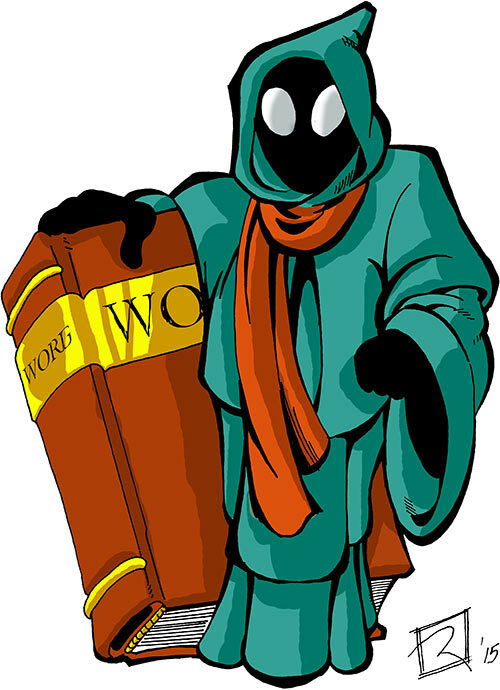 Chapter #3 of our Moonstone saga of writeups/profiles/whatever. 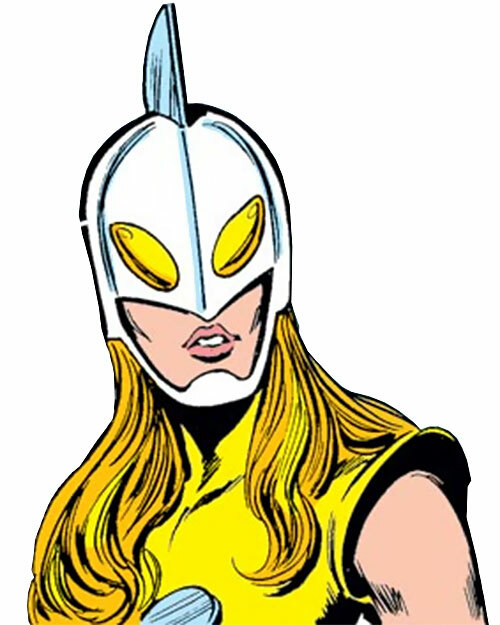 This one covers her time as Meteorite, among the early version of the Thunderbolts. Fourth part of our big Moonstone profile, our karlastravaganza. 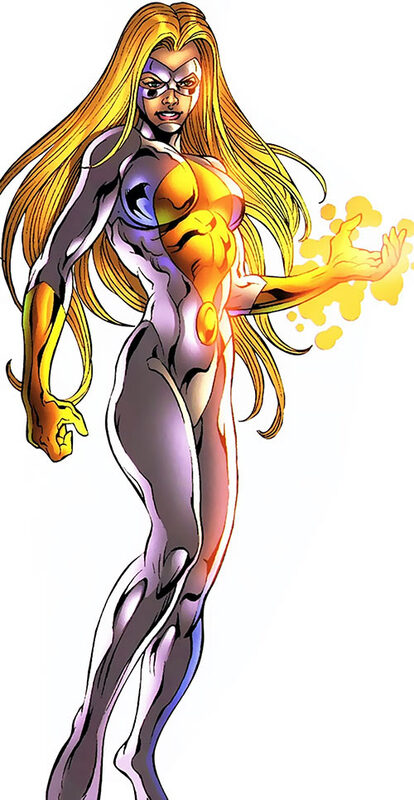 This profile covers her time with the Thunderbolts when she was powered by two Moongems rather than just one. This changed her power level, obvs. Fifth character profile for Karla Sofen, now as Moonstone and Ms. Marvel of the Thunderbolts and Dark Avengers. 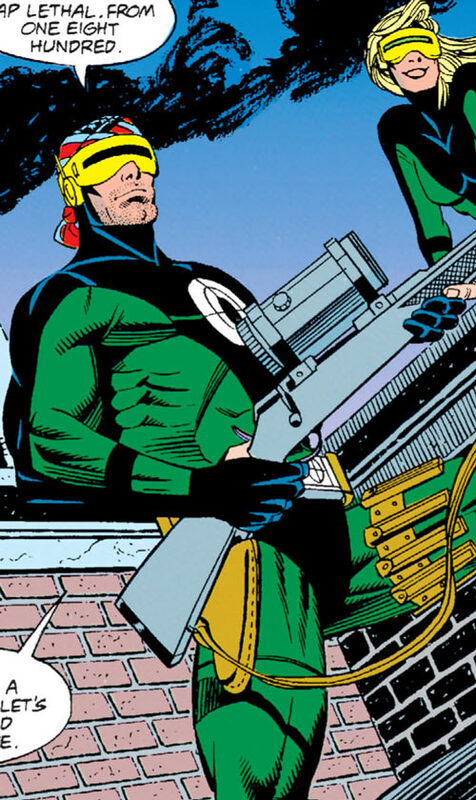 A technical article with material from Ray Winninger and Greg Gorden — the two main designers of the DC Heroes RPG — about frequently-asked questions about how the system was designed and some of its weak points. Chapter one of our chronological series about Doctor Faustus, master of the human mind and a few other things. 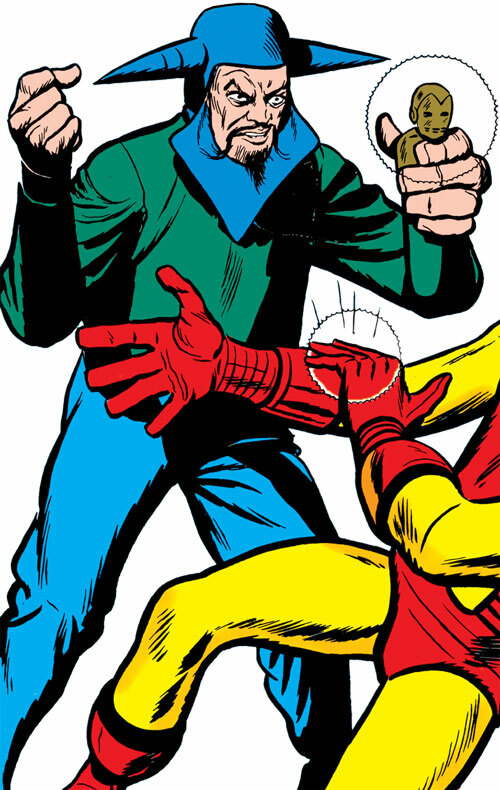 One of the biggest mind games experts in the Marvel Universe (literally). This second profile for Doctor Faustus covers some of his most classic, masterful plots and goes from 1975 to 1983. Come on in, don’t be afreud. Our third chronological profile for Doctor Faustus, the evil psychiatrist and technologist best-known for his clashes with Captain America. 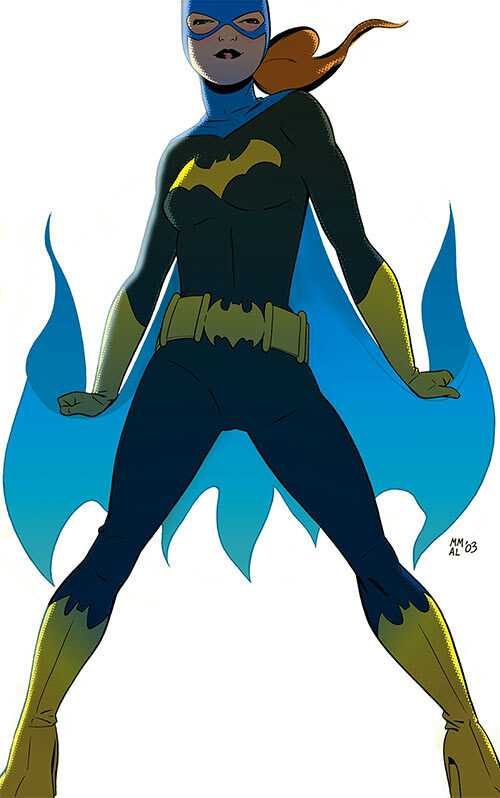 This profile is about the official DC Comics version of Barbara Gordon that starred in the 2003 Batgirl: Year One Limited Series. This profile has been completely redone as of October of 2016. 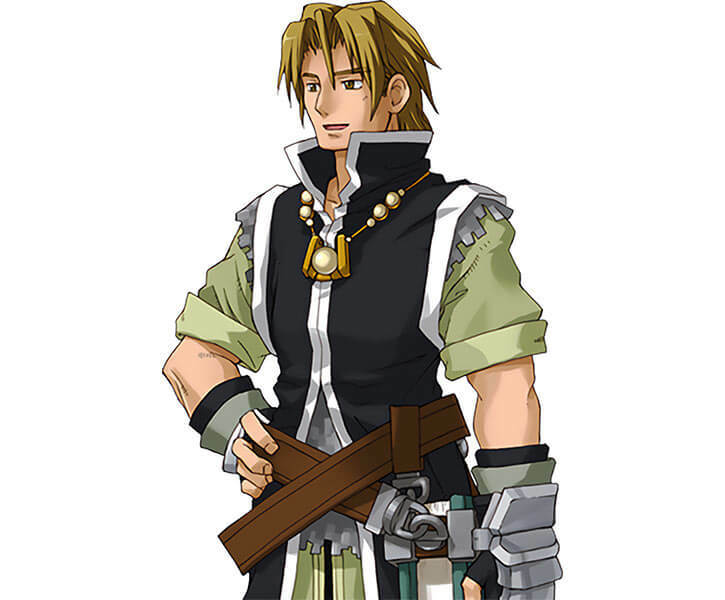 From the video game Recettear, a purposefully typical two-fisted young priest/martial artist heroic fantasy adventurer. It’s a JRPG, so of course he has magical attacks. 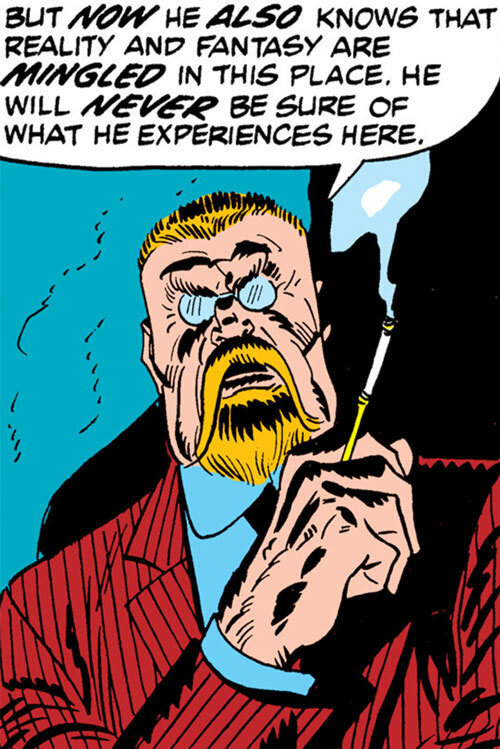 Continuing our writeups arc about very early Iron Man villains, from the Tales of Suspense days. 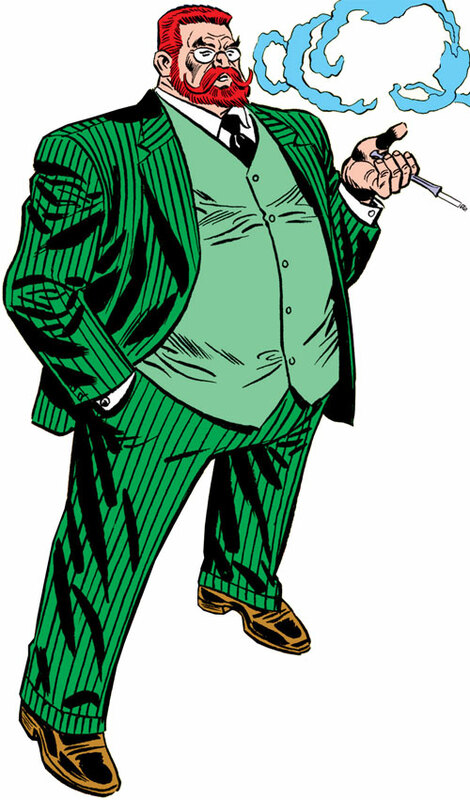 We’ll see this guy again when our early Spider-Woman villains writeups arc can progress. Strange not-quite-people from an improbable underground not-culture. These appeared during the 1970s in the Luc Orient Franco-Belgian adventure comics. Now with much better illustrations and upgraded texts and DC Adventures game stats. And yes, there’ll eventually be a Luc Orient profile. Eventually. Nagi the lancer, a polearms (esp. 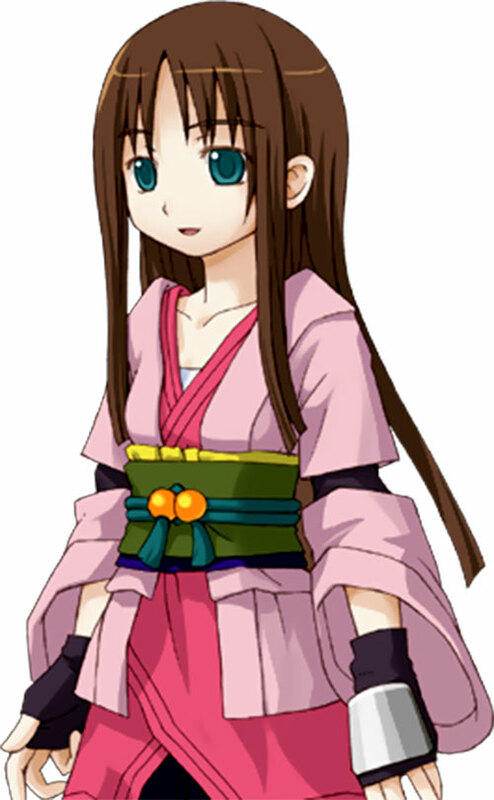 naginata) expert from the Recettear video game. Also, very lost. 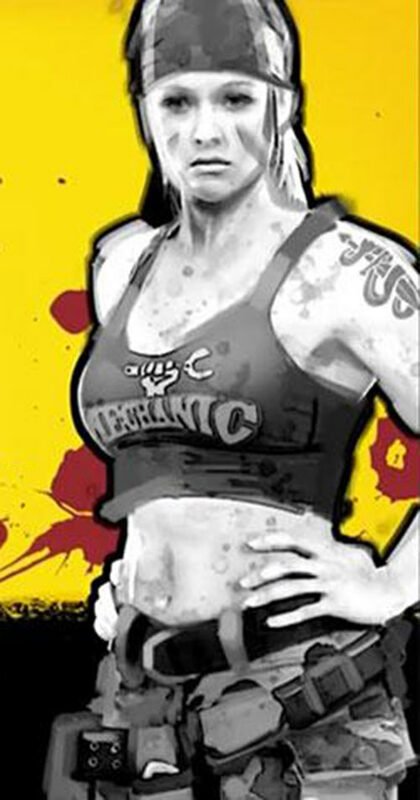 Also her eyes are colour-coordinated with our site, so we appreciate that. A superb sniper working as an assassin, which is of course useful for many stories. Now with revised texts, much better illustrations (though admittedly both upgrades were done a while ago before I had to switch to fixing some problem or the other and lost track. ANYWAY.) and DC Adventures game stats. 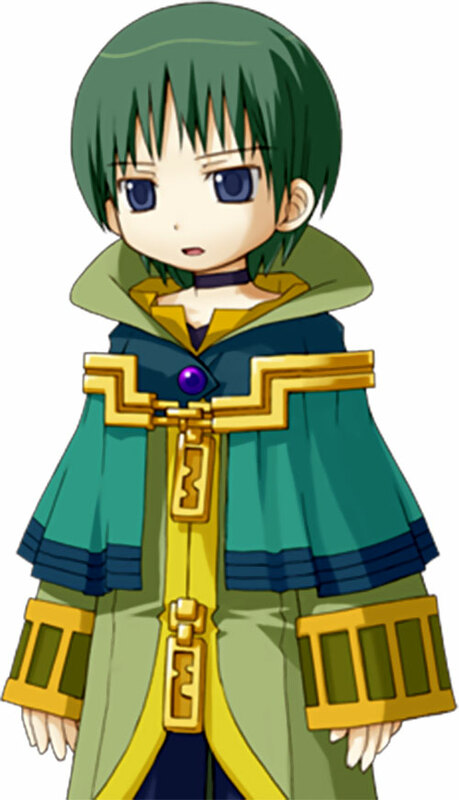 The most spells-heavy adventurer in the Recettear video game. 14-year-old pedant who knows magic. But heh, he’s colour-coordinated with our site, so we appreciate that.